A monogrammed set of wine glasses, above, makes for a customized look. Wooden candle holders add a little light to the holiday table and can be painted to match the table’s color scheme. Each year, as the High Holidays approach, much thought is given to spiritually preparing for the holiday, reflecting on the past year and making plans for the New Year. A great deal of time also goes toward planning the holiday meal, from the food to the guests. But how can all these considerations be incorporated together? One local designer thinks it starts with the table. For instance, if a family member was ill in the past year and now is healthy, put something medical-related at the table and celebrate good health. Kaplan also suggests using colors identified with the season. For Rosh Hashanah, this means autumn shades and deeper tones. Another way is to use holiday symbols — in this case, apples or pomegranates. She suggests that people open their cabinets to see what’s inside, then use the serving pieces they discover to fill with symbolic foods. For instance, you can create a tier of apples in a serving bowl, using either apples of the same color or a variety of different types. Honey can be put in surprising containers, such as a cognac glass. Although some people choose to set elaborate tables for the holidays, millennials tend to be less formal, Kaplan said. Kaplan is the author of “The Bajaro Method: Rooms Have No Feelings, You Do,” which describes a process for discovering the best interior design and decor for an individual’s home and office, as well as a means of achieving inner well-being. She said this same process can apply to a holiday table. 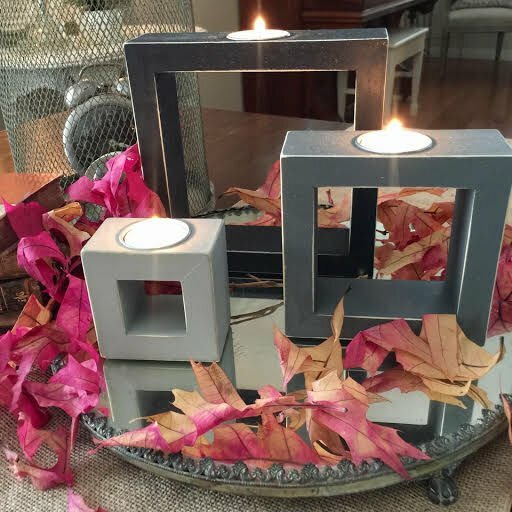 Pinspiration, a Pinterest-inspired do-it-yourself art studio in Phoenix, offers a variety of ideas for Rosh Hashanah table decor. The studio, founded by CEO Brooke Roe, offers customers all the materials, tools and instructions to make more than 75 projects — as well as a place to make them. The venue includes a beer and wine bar, a VIP party room and a Jackson Pollock-inspired splatter room. 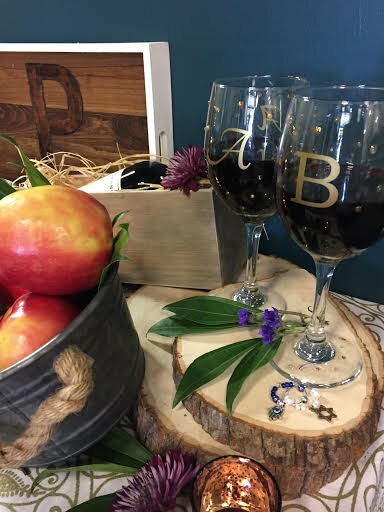 Customize each guest’s place setting with a monogrammed wineglass, or by attaching a charm to the winegass stem. Paint wooden candle holders to match the color scheme of the table. For more information, visit barbarakaplan.com or pinspiration.com.